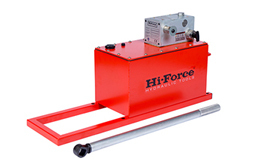 The Hi-Force AHP-CR series of air driven hydrostatic pressure testing pumps offer a choice of 8 models with output pressure capacities ranging from 6 Bar (87 PSI) to 2931 Bar (42500 PSI) all fitted with on board, 4 hour, single pen chart recorder as standard. 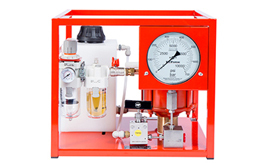 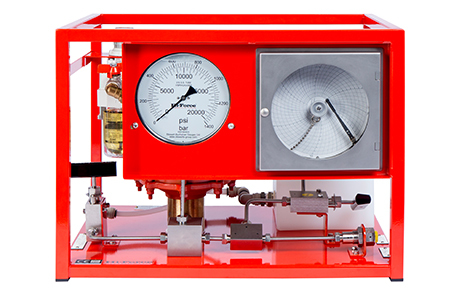 All models are suitable for use with various fluids including water and are supplied with a 150mm diameter glycerine filled hydraulic pressure gauge (calibrated on request), inlet airline filter, lubricator and pressure regulator unit, lightweight fluid reservoir, pump start/stop valve and a robust stainless steel skid mounted framework. 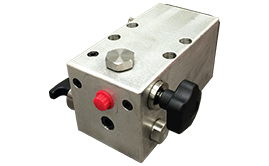 Recorder isolation valve and pressure release valve are fitted as standard. 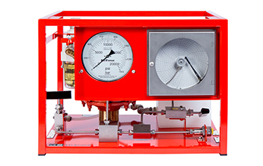 Optional extras include stainless steel reservoir, pressure isolation valve, stroke counter system, gauge calibration certificate and varying recorder clock speeds. 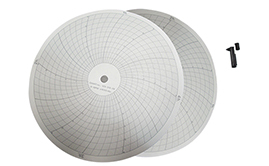 All units are of compact design with a maximum weight of 31 kg.